So this is what the end of a Winter looks like in my part of the world. 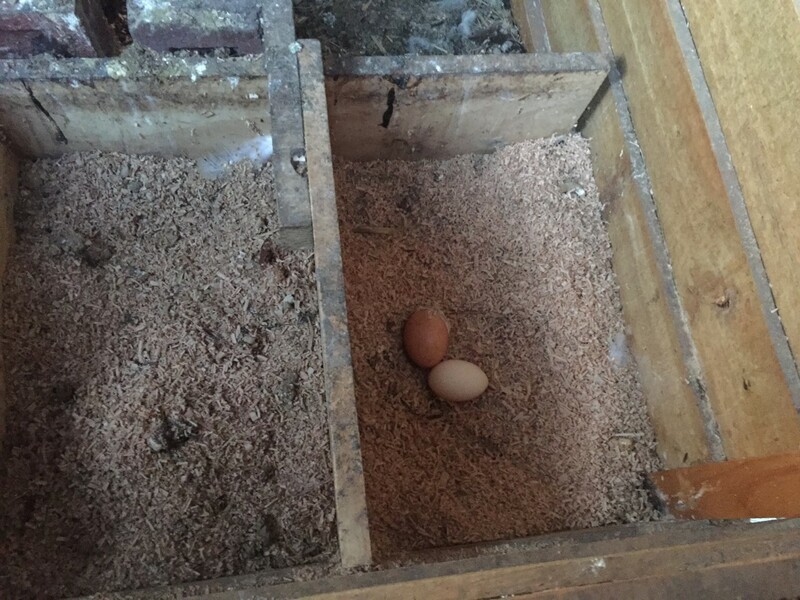 Following a few weeks break during the shortest days of the year, the chickens start laying again. You see, they are solar powered. 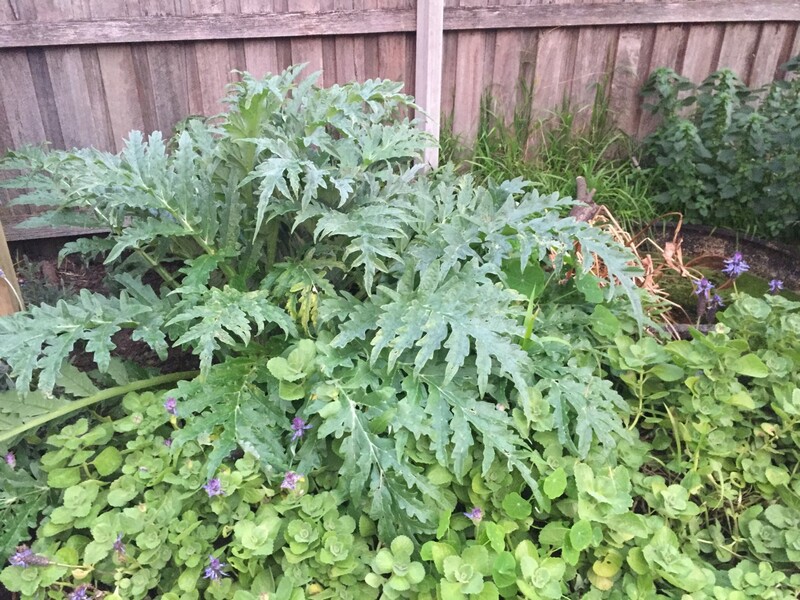 The globe artichoke is pushing up past the dogbane. Stinging nettle is covering the fence on the right. I’m hoping the ladybugs have been eating off it and laying their eggs in there. 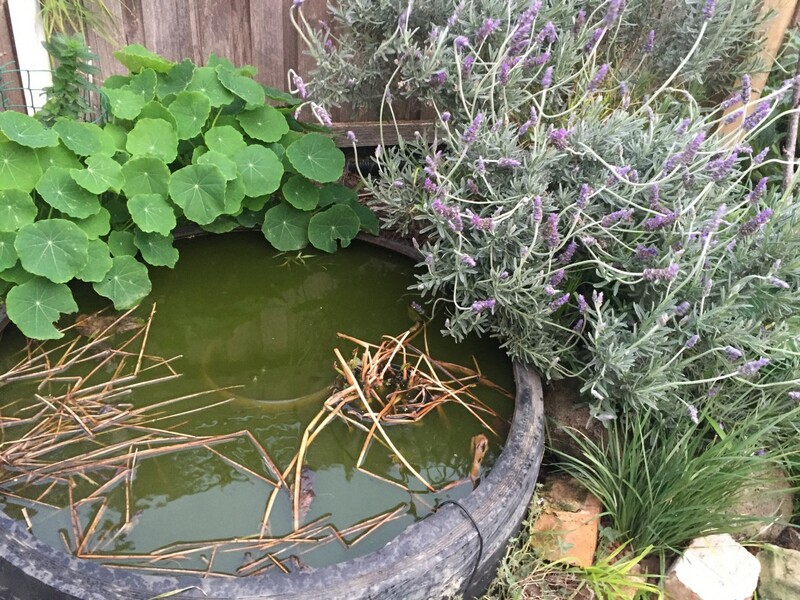 Dried stalks of water chestnut are floating in the pond, surrounded by nasturtiums and lavender. Another couple of weeks and this particularly cold and wet Winter will be over, and those sunny skies are going to help grow some of the best stone fruit we have seen for a while. Something to look forward to as the days grow longer, and warmer down under. Tags: chickens, gardening, winter. Bookmark the permalink. What zone are you in & what is the coldest night you had in the last 12 months. I would like to grow globe artichoke & water chestnuts. I heard on U-tube you need 9 months of warm weather to grow them.